The Cultural Heritage Informatics Initiative invites applications for its 2019-2020 Cultural Heritage Informatics Graduate Fellowship program. The Cultural Heritage Informatics Fellowships offer MSU graduate students the skills to creatively and thoughtfully apply digital methods and computational approaches to cultural heritage collections, materials, data, questions, and challenges. I am pleased to announce the launch of Tokyo 6420, a digital project on the Tokyo Olympic Games. Taking the name from the combination of the 1964 Games and the upcoming 2020 Games, Tokyo 6420 attempts to link together the story and cultural legacy of the Olympics in Tokyo with the urban transformation of the post-war Japanese capital. The Tokyo 1964 Games were one of the most successful Olympics of all time and it is this legacy that is driving the 2020 Games. As with 1964, 2020 is being seen as a redefinition of Tokyo and to a large extent, Japan itself. How the Olympics changed the face of Tokyo and how they are remembered and depicted in Japanese culture are the core questions this project is seeking to answer. Although this project has launched, it is an ongoing effort to chronicle the past and future of the Olympics in Tokyo and will be continually updated until the torch is extinguished at the close of the 32nd Olympiad in August 2020. The Cultural Heritage Informatics Initiative invites applications for its 2018-2019 Cultural Heritage Informatics Graduate Fellowship program. The Cultural Heritage Informatics Fellowships offer MSU graduate students in departments and programs with an emphasis on cultural heritage with the theoretical and methodological skills necessary to creatively apply digital technologies to cultural heritage materials, challenges, and questions. In addition, the fellowships provide graduate students with the opportunity to influence the current state of cultural heritage informatics and digital heritage, and become leaders for the future of cultural heritage informatics. Welcome to NorrisTown! This work of love (literally) has taken a long time. This will be updated through the summer as I find and digitize more material, so I would really appreciate your feedback, especially if you know more than I do about the town of Norris! The website is largely clean and accessible (I hope!) with pdfs housed together along with reflective essays. There images from the Farm Security Administration (from the Library of Congers website). In addition, there is a list of sources online and books that the website shall point you to. While I was initially very, very afraid of having to code from ground up, in hindsight, it was easy as long as I was patient while I continuously tested the mock-up page. It took a while to finalize the mock-up page but it was well worth it. In the long run, it saved time and effort. It also made it easier to isolate issues that cropped up as I was inputting information. For instance, as I replace dummy text in the reflective essay boxes, there were alignment issues on the page as the pdfs were suddenly sent to the bottom of the page. In addition, the drop down navigational menu was going into the background. Given that I had written the code ground up, I was able to (relatively) easily isolate the problematic code and rewrite/edit it. It was small and big things like this that made the process annoying in the short run but extremely fulfilling because I learned so much. The website was mostly created ground up, without any themes. I used iframes to house pdfs for easy access and readability. While I am happy about the project overall, there is one niggling aspect that needs some fixing. The home page does not have the originally envisioned geo-rectified site plan of Norris. Although creating the geo-rectified image was easy, there were some issues with Mapbox and I am still working towards fixing it. I would really appreciate any ideas about how to fix it. For now, the home page consists of a map I created on Googlemaps that has markers. Each of the markers is an important place on the site plan and the markers themselves have little information blurbs as well as images (when available). For now, though, I hope the website is interesting! Join us on Friday, May 5 from 9-10:00 am in LEADR (112 Old Horticulture) for a casual information session about the Cultural Heritage Informatics (CHI) Grad Fellowship Program. Attendees will be provided with an introduction to the fellowship program, including disciplinary and intellectual scope, expectations, activities, resources, and support. Attendees will also get the opportunity to meet past and present CHI Grad Fellows to learn about their experiences in the program. The session is open to any and all graduate students who are interested in finding out more about the CHI Grad Fellowship Program. The Cultural Heritage Informatics Initiative invites applications for its 2017-2018 Cultural Heritage Informatics Graduate Fellowship program. Namibia Digital Repository: Official Launch! This post officially declares the project launch of the Namibia Digital Repository! For the past year, I have been slowly digitizing and piecing together a Namibian Studies online digital library. 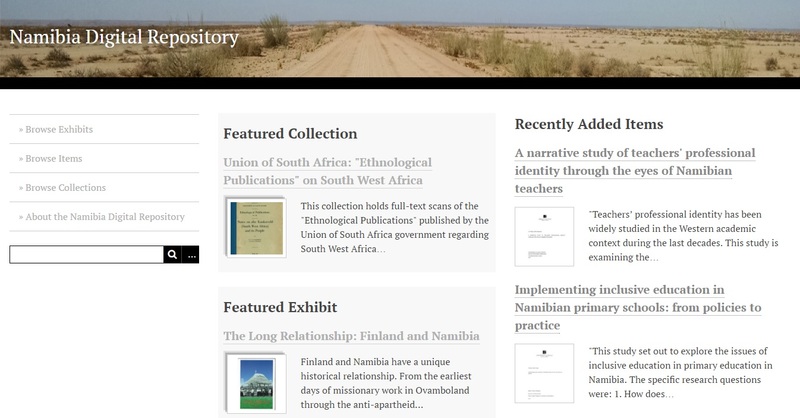 Far too often, existing scholarly materials pertaining to Namibia are not accessible to Namibians for many reasons; this project seeks to fill a gap in scholarly access. 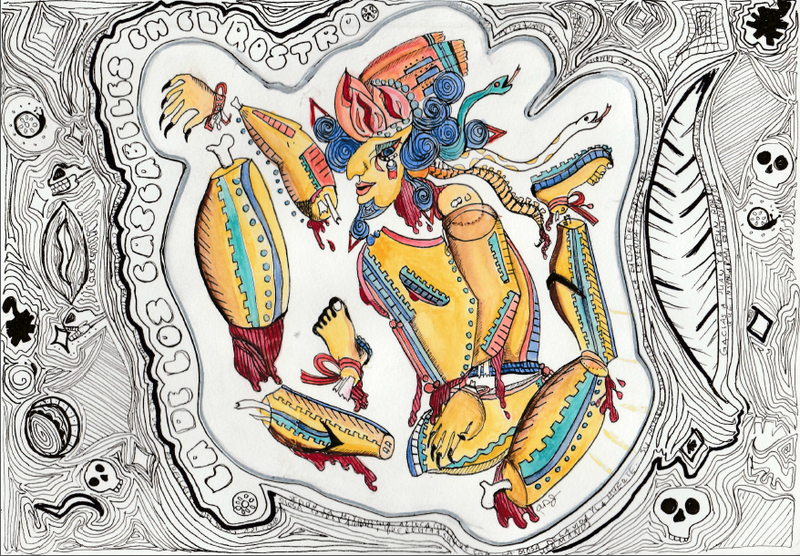 As I have mentioned in previous posts, this project is both creative and agglomerative. It is creative in the sense that countless hours have been spent in front of scanners and VCRs digitizing books, photos, documents, and films (for more on this, click here). It is agglomerative in the sense that I also pull from existing Namibiana resources on the web, providing attribution and an alternate host for the files (for more on this, click here). Some of these collections are still works-in-progress, particularly the ever-important “Out of Print Books” and the “Missionary and Travelers’ Accounts” collections, which will see their numbers rise as I include some recent scans I’ve made. Furthermore, I’ve recently received a consignment from the retiring Professor Dr. Robert Gordon of the University of Vermont. Dr. Gordon is an esteemed and radical scholar, authoring several books on Namibian history and anthropology (perhaps his most famous is the 1991 The Bushman Myth). On his retirement, he has provided me with many boxes of old papers from the United Nations Institute for Namibia in Lusaka, Zambia and of early, pre-independence publications from the University of Namibia. During this summer, I will be digitizing these papers and publications to form two or three new collections. For digital library projects to succeed, it is necessary for them to incorporate new content regularly. I hope to continue to live up to this. Other than continually adding more material during the summer, I will also be spending a great deal of time advertising the resource, appealing for other scholars, librarians, and archivists to make use of the repository, and hopefully add their own materials. I cannot do all of the work on my own. The final aspect of the repository, and this is the most fun, is the use of exhibits. For those of us who use archival resources in our research, one often opens old finding aids to try to locate archival boxes relevant to our research. The first few pages of the finding aids often have a brief introduction from the archivist or scholar who organized the collection. This introduction is intended to go beyond just introducing the user to how the resources are organized; it is meant to provide thematic guidance. Exhibits in Omeka can function the same way. I plan to incorporate a number of short historiographic essays into these visual exhibits, introducing the user to the materials included in the repository, as well as the significance of each one. I have built one exhibit on Namibiana studies and resources in Finland, and I have another en-route exploring writings on trade unions and labour in Namibian history. These will form a crucial component into allowing other scholars to contribute more than just PDF scans and audio files. Exhibits will also help university students navigate the website in the best way possible. I hope that all of you enjoy going through the materials I have created and collected over the past year, and I would love to receive feedback on the content and look of the site as well.